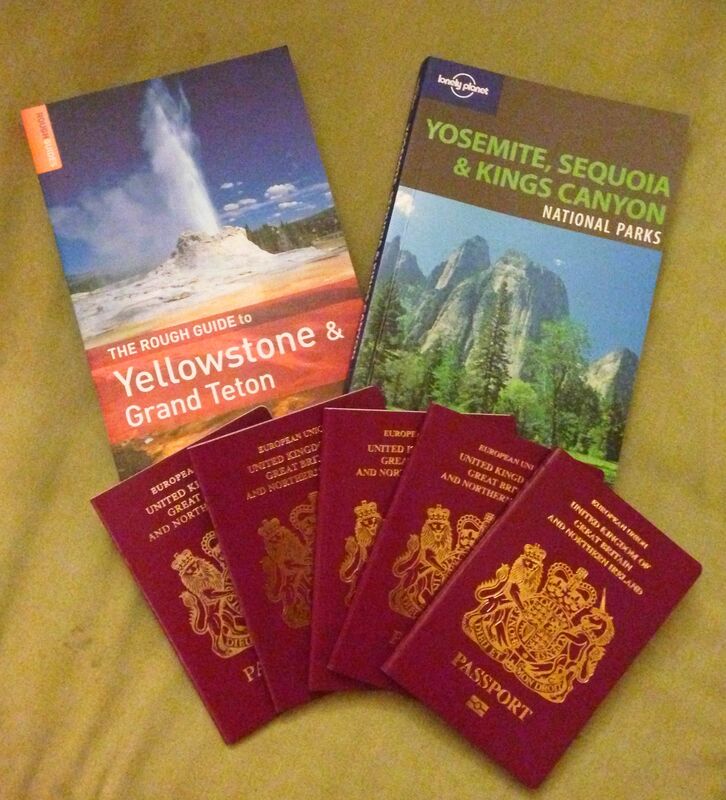 We collected our passports complete with visa’s for 6 months in America today. We had to pick them up from a DX depot in Plymouth. The woman who returned our passports to us happened to have travelled extensively across America doing exactly the sorts of things we plan to do! She was so enthusiastic in her passion for the States and painted such an incredible picture of all the amazing experiences we will have that we were stood at her little window for quite some time. We listened to stories of up close encounters with killer whales on the West Coast and of bears in Yellow Stone, about how incredible witnessing Old Faithful will be for our children and how New York in winter is simply perfect. “Golden eagles are like starling there… simply everywhere!”. We left beaming and chattering excitedly about all she had said. Plymouth beaconed for a bit of Christmas shopping which couldn’t be done online (and a trip to Yo Sushi without the kids of course). Our main ports of call were the various outdoor shops because, lets face it, our kids are getting travel related practical items almost exclusively this Christmas. Well the whole experience of buying head torches and base layers got us even more excited so to meet yet another America enthusiast was pushing us over the edge! A sales chap in Cotswold Outdoor store happened to be from California and had a fairly full on passion for travel and adventure… he was soon describing the routes we should take to transverse the States to see all the things we want and must see. He was giving us tips on the local foods to try in various small towns we mustn’t miss and how much money we need to be allowing for entry to the various national parks. He went on with tips for crossing the Canadian border and making sure we have our itinerary planned well. He got out maps from books on sale in the store and showed us various options for fitting everything in… it was amazing! On returning home in time for the school run we had it confirmed that we have a private buyer for our sheep – thus avoiding the horrific experience of a brutal livestock market again. And with Rob’s parents coming this weekend we can get some serious packing done. It’s just 8 weeks until we leave Cornwall and boy are we excited! This entry was posted in Uncategorized and tagged America, Family Travel, preparation, travel with kids, travelling, Visa on December 4, 2013 by Muma Dean. Our kids are getting travel clothes, too. And just in case the older one starts to look disappointed when he sees the long underwear, we’re going to throw in an Oxfam gift card to remind him that some kids don’t even get a hot meal most days. Eight weeks to go! Very exciting. Ah yeah I reckon ours will all be pretty pleased with what they’re getting, they all love base layers, plus they’ve got a head torch each and stuff like that. Christmas has got so silly these days with excessive spoiling which kind of ruins it really. Good thinking on the Oxfam gift card!